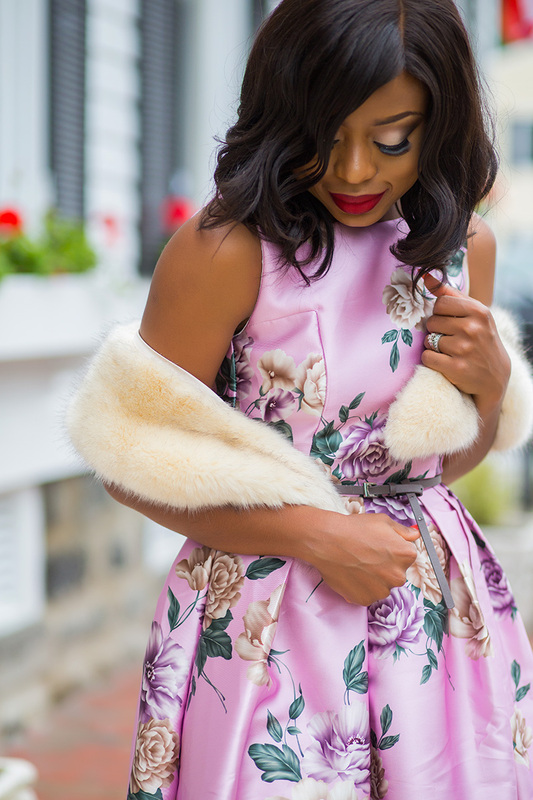 One color to embrace this fall is pink; Pale pink is billed to trend this fall as seen on runways such as Chanel, Erdem and Altuzarra. 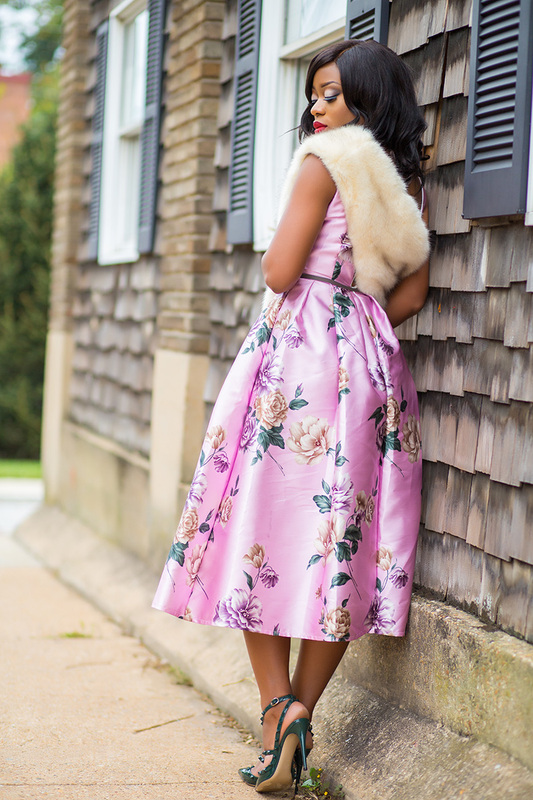 This Chicwish pink floral dress embodies fun and class that is suitable for any occasion and will be perfect for the holiday season. Though I am wearing green shoes, the dress can also be paired with beige pumps or heels. I get excited when I hear holiday shopping and it is definitely not too early to start shopping for your holiday needs. The dress is adorable. I love the prints and soft colour of the dress. This look would be great for church a wedding or a picnic. Your eye shadow here is to die for, do you mind telling me what you have on ?